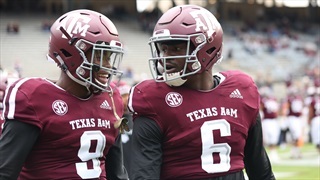 The Aggies suffered another heart breaking loss against Auburn on Saturday and now look to stop a two game skid against Ole Miss. 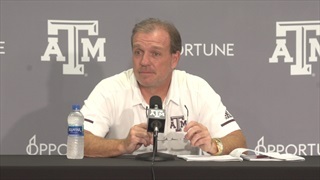 Jimbo Fisher and some of the players met with the media to discuss what needs fixing as they try to finish the season on a high note. 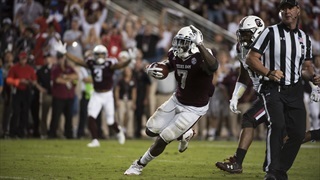 Texas A&M struggled mightily on Saturday night against Mississippi State, particularly on the offensive side of the ball. After the loss, head coach Kevin Sumlin, OL Connor Lanfear and DE Landis Durham spoke to the media. 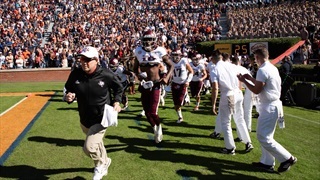 Once again the Aggie offense struggled to produce yards or points through most of the first half against the Gamecocks. 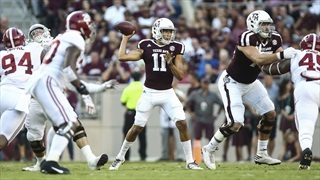 However, freshman QB Kellen Mond sparked the team late, and Keith Ford did as he pleased in the fourth quarter to push A&M to a win. 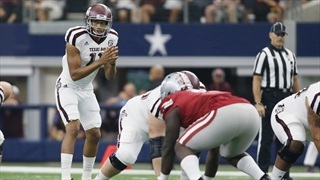 The Aggie offense got off to a slow start against the Hogs but opened things up in the second quarter and beyond. 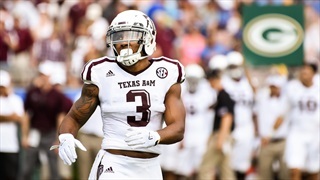 Texas A&M racked up over 500 yards of total offense and got big plays from veterans and newcomers alike. 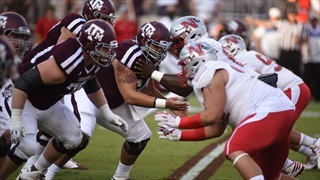 The Texas A&M offensive line disappointed on all fronts against Nicholls State, leaving the coaching staff looking for answers. This week, they'll shake up the lineup again in hopes that a strong, cohesive unit will emerge. 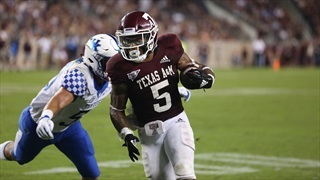 The 12th Man was looking for a pick-me-up as the Aggies took on Nicholls State over the weekend but received a lukewarm performance. 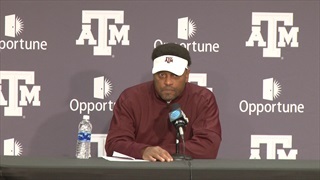 Kevin Sumlin and the Aggies speak to the media about the narrow win and the upcoming contest with the Rajin' Cajuns. 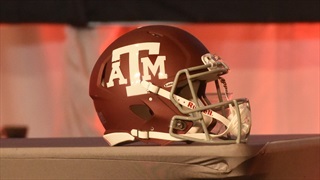 The return of football to Kyle Field is almost over as Texas A&M-Nicholls approaches. 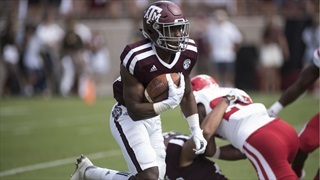 Billy Liucci takes a look at the key matchups in the game and where the Ags must win to secure victory on Saturday. Texas A&M exploded for over 300 yards on the ground in the first half against the Bruins but sputtered to a halt in the third quarter. 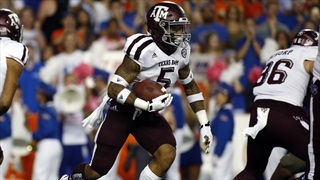 Billy Liucci looks at the highs and lows of the Aggies' performance. 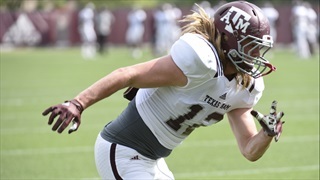 Texas A&M released its official depth chart on Tuesday, but Aggie fans shouldn't put much stock into it. 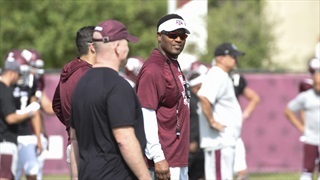 Billy Liucci presents his thoughts on which Aggies will start, contribute and see the field against UCLA. 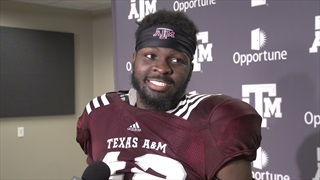 Following Wednesday's practie, two returning starters for the Aggies, Otaro Alaka and Connor Lanfear spoke with the media to discuss the first five practices of fall camp, today's practice in full pads, young guys progressing and more. 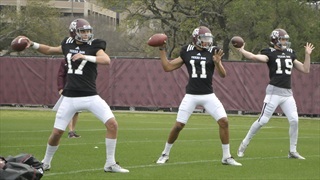 Who will man the quarterback position for Texas A&M this season? Will linebacker play finally improve? Which freshmen are ready to make an impact? 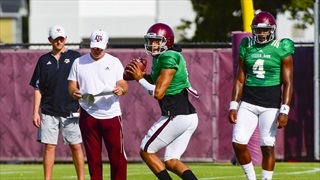 The Aggies face a lot of questions as Fall Camp begins. Olin Buchanan endeavors to find the answers. 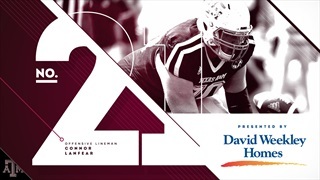 Coming off an injury at the end of last season, offensive guard Connor Lanfear projects to play a pivotal role for the Aggies upfront in 2017. He comes in at #21 in our 30 Players in 30 Days series. 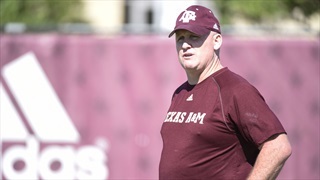 As Aggies face the long summer waiting for football to return, Billy helps TexAgs subscribers endure by fielding questions about the upcoming 2017 football season, ongoing recruiting battles, college baseball, TV shows, hot cereal and much more.